Tommi Makila, a PGCPS parent and community activist, offers his suggestions for improving the school system. The views expressed are the author’s own and do not necessarily reflect the opinions of Prince George’s County Advocates for Better Schools. This spring we heard that our County Executive, PGCPS CEO, and Board of Education members all wanted to “move the needle” when it comes to our schools and their performance. The prescription offered to achieve this boost was clear: more money and new programs. I beg to differ with this view. Funding increases alone will not make PGCPS great. In fact, if we don’t change the way we run the school system, no amount of new funding will make a meaningful difference. I believe we could make significant strides just by focusing on what we already do, but doing it better, with minimal additional expenditures. Back-to-school event at every school before school starts: This is all about preparedness from day one and catching parents and students when they are most excited about the upcoming school year. Most PGCPS schools have their only back-to-school event several weeks into the school year. The system-wide Back-to-School Fair at the Show Place Arena may be nice, but it attracts only a fraction of our student and parent population. What we need is an event before the school starts at every single school, as school-specific information is what parents and students want and need the most. Thanks to parent advocacy, for the last few years my son’s school has organized its own Back-to-School Fair right before school starts. According to the principal, it is the school’s best attended event. Timely electronic communications: All schools should have good, up-to-date websites and they should utilize other forms of electronic communications. For example, I have heard from numerous parents that their schools collect email addresses from parents, but never use them. All teachers should have websites or use other electronic communication methods. Improvements in these areas will help both students and parents. How can you expect true parental engagement if parents don’t know what is happening at the school? This is an area where my son’s school, Accokeek Academy, has made great strides. When my son started at the school, its website was completely static and had badly outdated information. Now the site is informative and updated nearly daily during the school year, and important notices go out through email, text alerts, and social media. Any principal wanting to learn how to do electronic communications should talk to the crew at Accokeek Academy. Good customer service: Front office staff at all schools must provide friendly and competent customer service. I have heard personally from parents who have decided against sending their kids to PGCPS based primarily on the poor or indifferent front office service they received. For new parents, the front office staff is often the first contact with the school system. First impressions matter a lot. All parents need to deal with front office staff on a multitude of issues throughout the year, so the quality of service that staff provides is important. 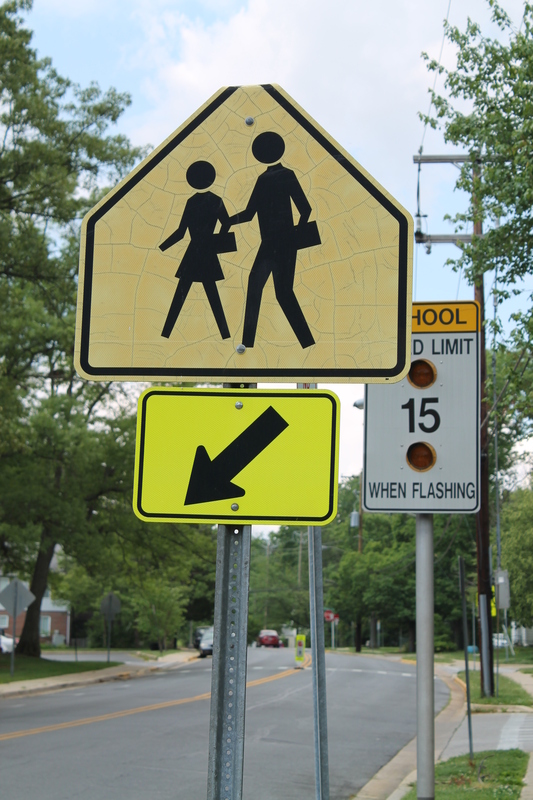 Fix the annual first-week-of-school bus debacle: It is painfully obvious that PGCPS bus drivers are not adequately trained on their routes before the first day of school. The transportation mess during the first few days of school happens every year, guaranteed. I have been at my son’s school helping direct students and parents on the first day of school, while my own child has not been picked up by the school bus at all. Another year, parents had to chase down the school bus because it wasn’t stopping at the designated stops. These types of issues could be avoided by proper training. If there is no significant improvement, those in charge of managing the transportation system must be held accountable. It is this type of debacle that middle class parents hear about, making them shake their heads about the disorganization and vowing to keep their children in private schools. Clean school buildings: I have visited many PGCPS school buildings. I have seen meticulously maintained schools, but I have also seen buildings where the cleaning crew is not doing a very good job. Success of the school system is not only about the teachers. Everyone at the school contributes to its success. A messy and filthy facility sends a negative message to everyone who visits the building. Fewer standardized tests: I was thrilled to learn that PGCPS recently decided to suspend MUST tests. Our standardized testing craze has gone completely overboard. Thus, spending less time and money on testing is a true win-win solution for our schools—more time for actual teaching and more money for other priorities. While suspending MUST tests is an excellent step, we should seek to further reduce the number of tests our children take. If doing so requires advocacy at the state and federal level, our elected politicians and school officials should do that. As the reorganization of the PGCPS governance structure a couple of year ago proved, our elected officials have clout to make things happen, especially at the state level. Many of these suggestions boil down to simply expecting that all employees perform their existing duties well. Some problems are also indicative of an organizational culture that is averse to advance planning. One cannot be “great by choice” without planning ahead and demanding that people do their jobs properly. The poor reputation of PGCPS is not only about the test scores: it is also about how competently the system is run. Whether we have no extra money or boatloads of new money, there is no silver bullet to improving our schools. I fully realize my improvement ideas will not miraculously fix everything, and there are many more issues than those included on my list that we need to tackle. “Moving the needle” will require working on all fronts, making continuous incremental progress. I know other parents and school staff have suggestions for improving the system as well. Thus, I urge PGCPS to make a concerted effort to gather such ideas for no-cost and low-cost improvements, and implement good and feasible ideas. We should tap into the collective wisdom of parents and staff to take our schools to a new level.